In Outlook 2003/2007, click InLoox PM Folder in the InLoox PM Toolbar and then Contacts in the InLoox PM project list. 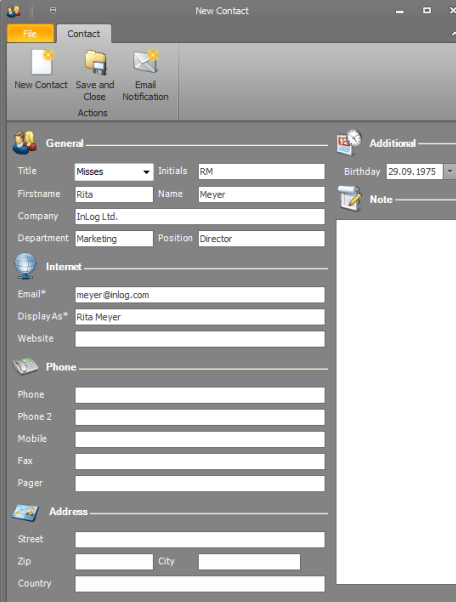 In Outlook 2003/2007, click New Contact in the InLoox PM project list. How to create a new contact in InLoox PM 7 • Copyright 1999-2019 © InLoox, Inc. All rights reserved.